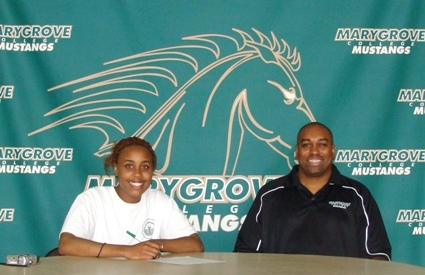 DETROIT, MI–Marygrove College Women’s Basketball signed former Wayne County Community College player Jennifer Lee on Saturday. The signing would give the Mustangs added depth in the post. Lee is a 6’1″ forward that stepped away from basketball for a few years. After playing a season at WCCD, Lee decided to transfer to the University of Detroit-Mercy where she became involved with the pep band. The multi-talented Lee returns to the court happy to be a Mustang. Coach Hitchcock on Lee: Jennifer is a solid post player with untapped potential. Her work ethic will drive us in practice and will make everyone better.